The New Oxford Social Club is a proud sponsor of New Oxford Junior Baseball Association. This year we are the main sponsor for every team in the organization. Our logo is on every team from T-ball to Babe Ruth league. 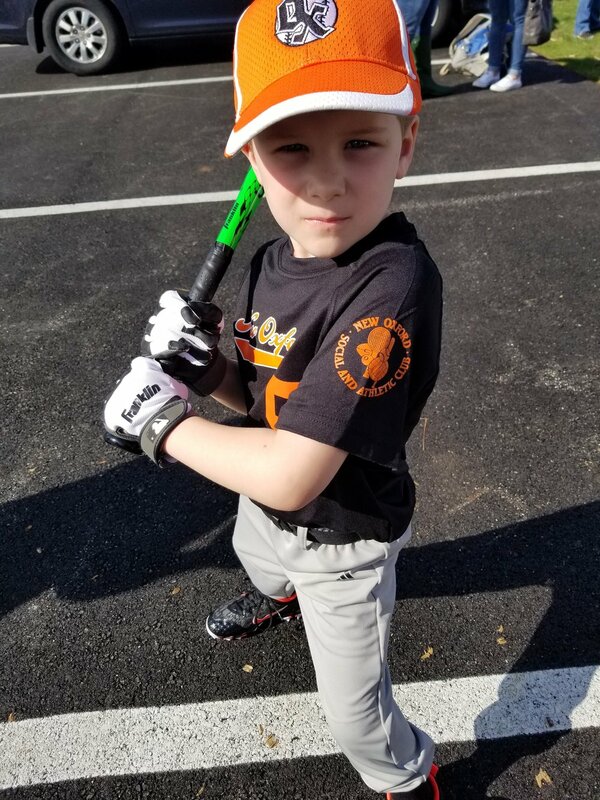 Here are some pictures of some young players and their uniforms. Good luck this season! Eastern Adams Regional Police were presented with a donation from Michael Deshong, president of the New Oxford Social & Athletic Club to purchase a new radar speed sign to combat complaints from citizens that vehicles are traveling in our neighborhoods at unsafe speeds. The New Oxford Social Club recognizes the im...portance of driver safety in keeping our residents safe. The radar speed sign will be utilized to prepare computerized reports on traffic conditions to our stakeholders who make complaints of speeding conditions on their streets by their residences. The reports generated will enable us to give a detailed analyses of traffic patterns to our residence to ensure traffic safety and enforcement remedies if necessary. The Board of Directors and Club management welcomed scholarship recipients and their families to a "Meet & Greet" evening on May 23rd. Each recipient received a $5000 scholarship from the Club. We are proud to reward these future leaders for their hard work and achievements and wish each of them the best as they take on the challenges of collegiate life. Good luck to you all.